Cats love to find hiding places and their natural curiosity gives them a desire to explore. Large interactive toys like this fun tunnel fulfill these natural cat tendencies. This Fun Tunnel from ABO Gear is a large tube that measures over 50 inches long when fully extended. The tunnel is open on both ends and there are two portholes for a quick escape or an unexpected mid-tunnel pounce. The tunnel is lined with a faux fur interior and has a stylish cat-themed leopard print on the outside. The tunnel has a crinkly lining that makes crunchy noises when touched, which is interesting and exciting to many cats. We have a tunnel similar to this one and our two younger cats, Timmy and William, absolutely love it. 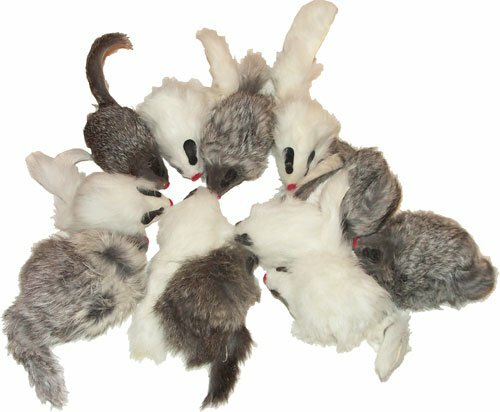 They bring toys inside with them - their favorite combination is to bring a crinkly toy inside the crinkle tunnel and make a cacophony of crunchy noises. Our older kitty, Gumby, isn't a big fan of the crunch sound. Not all cats are. He likes to play with his mates though, and he's been in and out of the tunnel a few times while chasing the others. As a larger cat (13+ lbs), he fits in our similar tunnel just fine. 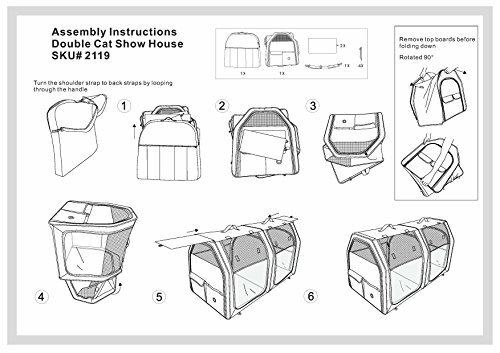 This tunnel from ABO Gear is also appropriate for cats in this size range. 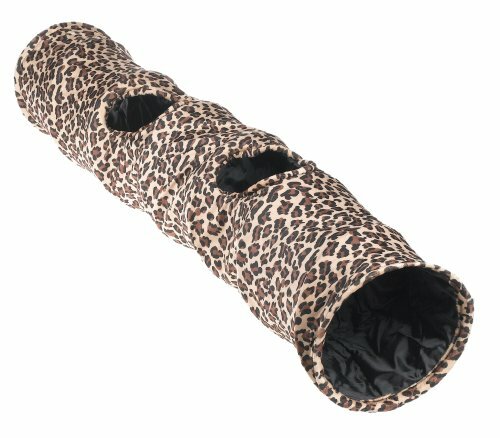 Long play tunnels like this are a fun toy for single cats to use as a hideaway or a spot for creative play. Play tunnels are also a hit in multi-cat families. The access holes midway through the tunnel are perfect for sneaky attacks and quick getaways when playmates are having fun together.